I was a bit behind with the Bead of the Month, so many gorgeous beads to buy, so many hard choises to make! Luckily I managed to secure two I really wanted, July and November during the Black Friday sales! 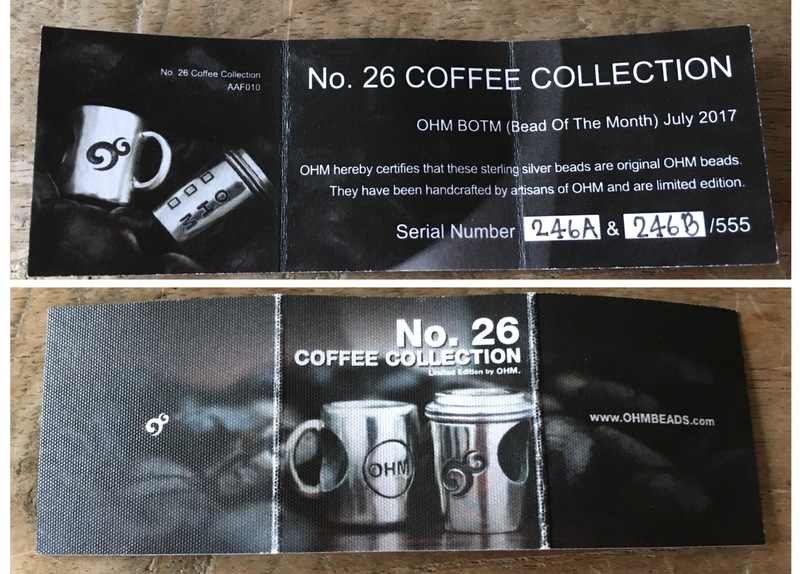 First the BOTM July: Coffee Collection. Two coffee cups, to stay and to go. This set came with a to go cup! There are only 555 made, the set comes with a numbered certificate. 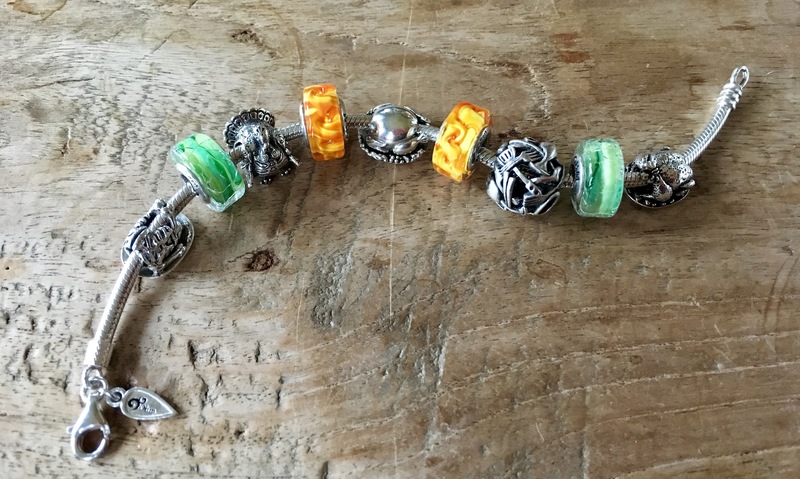 The corresponding numbers are engraved in the beads. Closer look at the front and back of the beads. 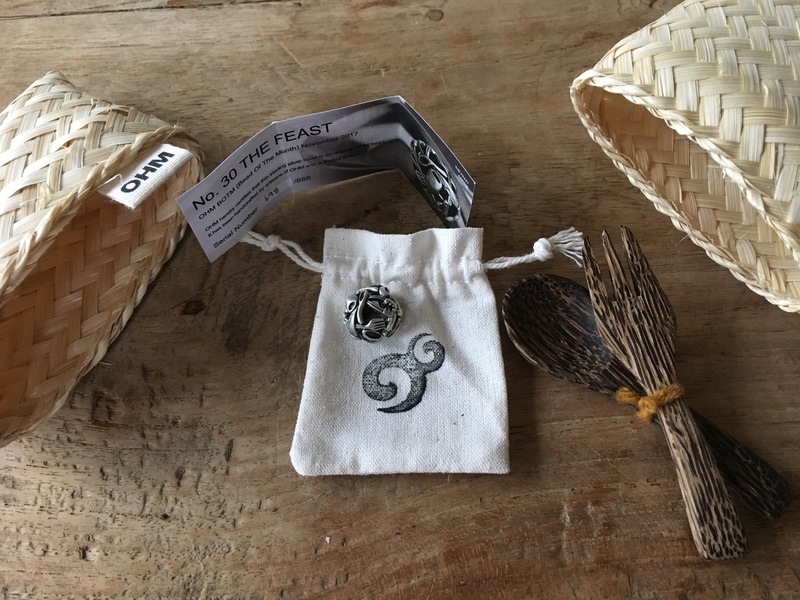 We are now into the third year of the Bead of the Month concept and it now seems there is a tradition born. Coffee in July! 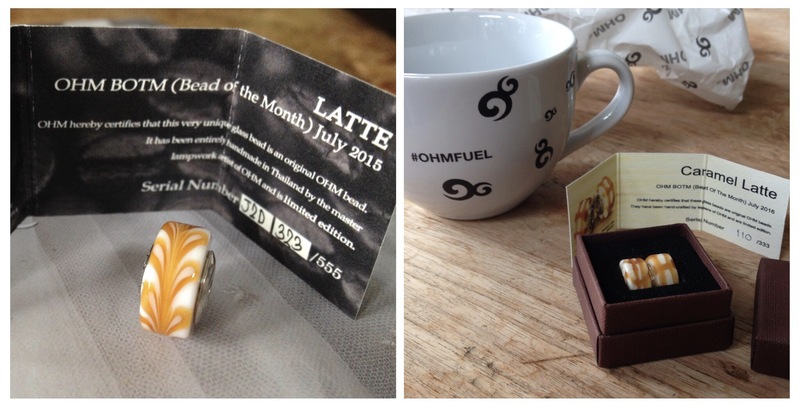 The first is Latte, BOTM July 2015. 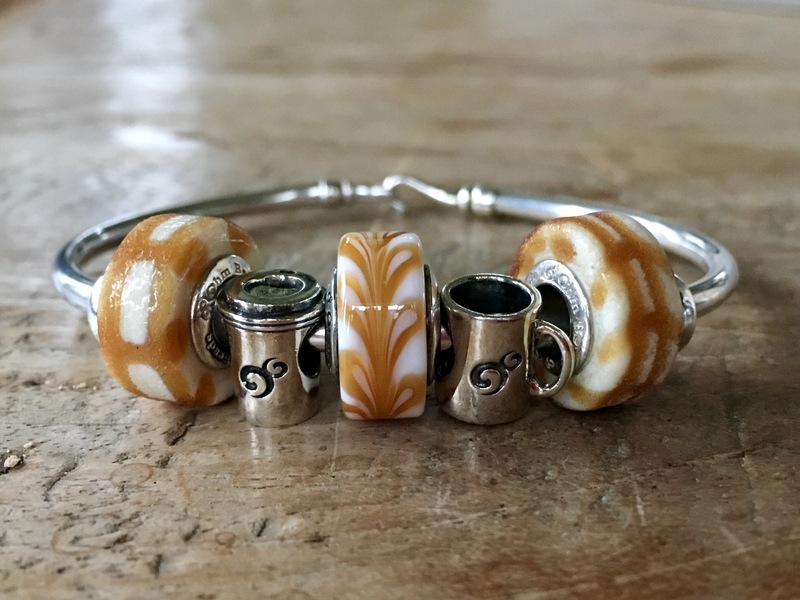 One barrel glass bead with swirls like a latte coffee. 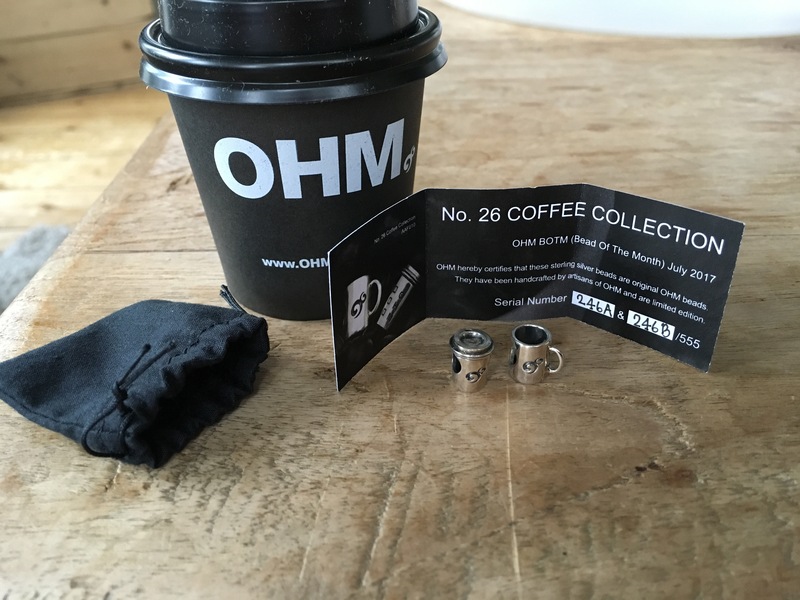 The second is Caramel Latte BOTM July 2016. 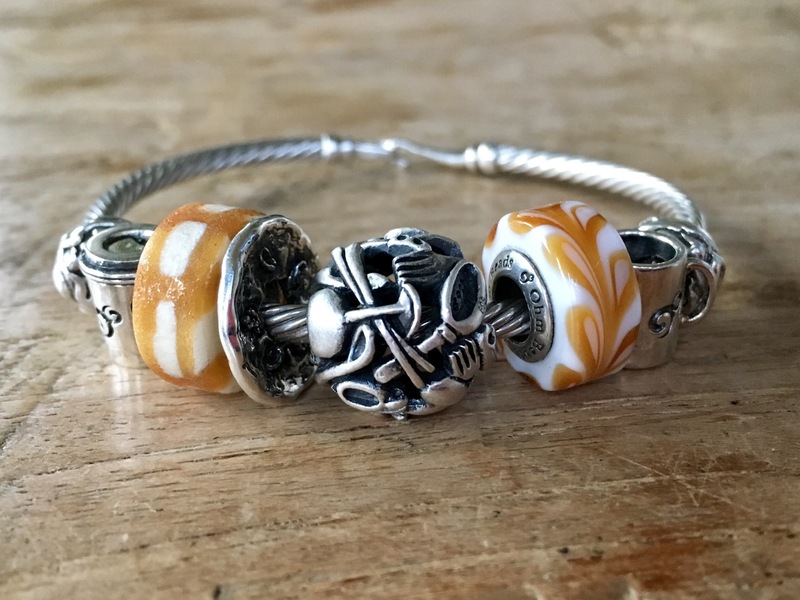 This time there are two barrel glass beads, again with the latte coffee design. The texture is very unique, a very rough bead, they feel like sugar cubes! This set came with a coffee cup! They all look so good together! 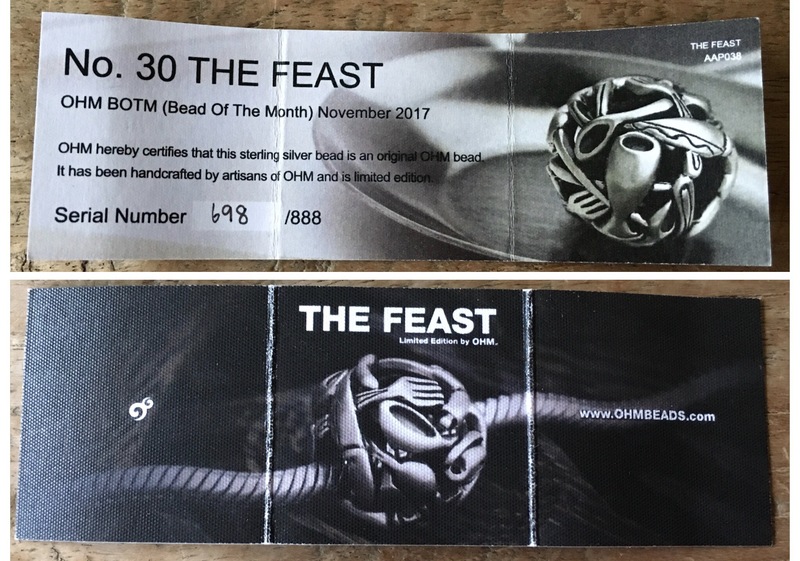 The BOTM November is The Feast and has a cute packaging, a basket envelope and comes with a spoon and fork. Of this bead only 888 are made. Again it comes with a numbered certificate. 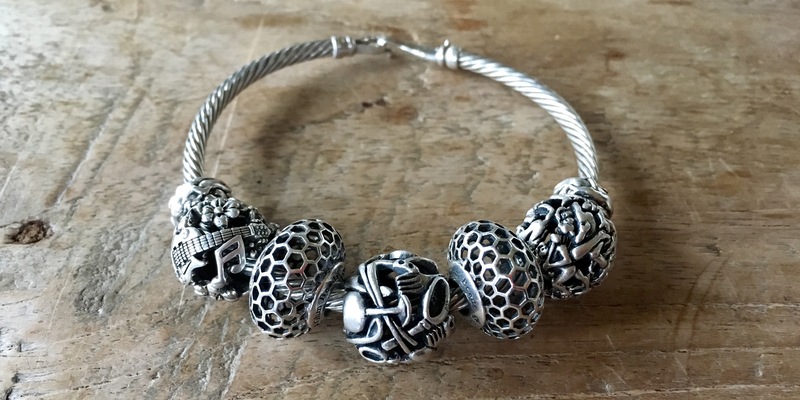 The bead has a matt finish like Woodstock and Kamasutra and also is a similar size. Made for the celebration of Thanksgiving the bead is about food and drink: kitchen utensils, cutlery, pans, glasses and cups. It surprised me, I liked the bead on the stock photos, but I immediately fell in love with the bead the moment I saw it! It’s so much better and lovelier in real life! I love it that this bead can be used for more than Thanksgiving, it’s for every feast and party or if you just love food and cooking! On a bangle with Woodstock (LE 2017), two Hive Mind (BOTM August 2016) and Kamasutra (BOTM September 2017). A Thansgiving bracelet with Same but eaten (LE 2014), Tom the Dead (BOTM November 2016), Turkey Platter (LE 2013), The Feast and Same but Different (BOTM November 2015) combined with glass Green Crack (LE 2017) and Fireball (LE 2017). This is the bangle I have been wearing almost every day! 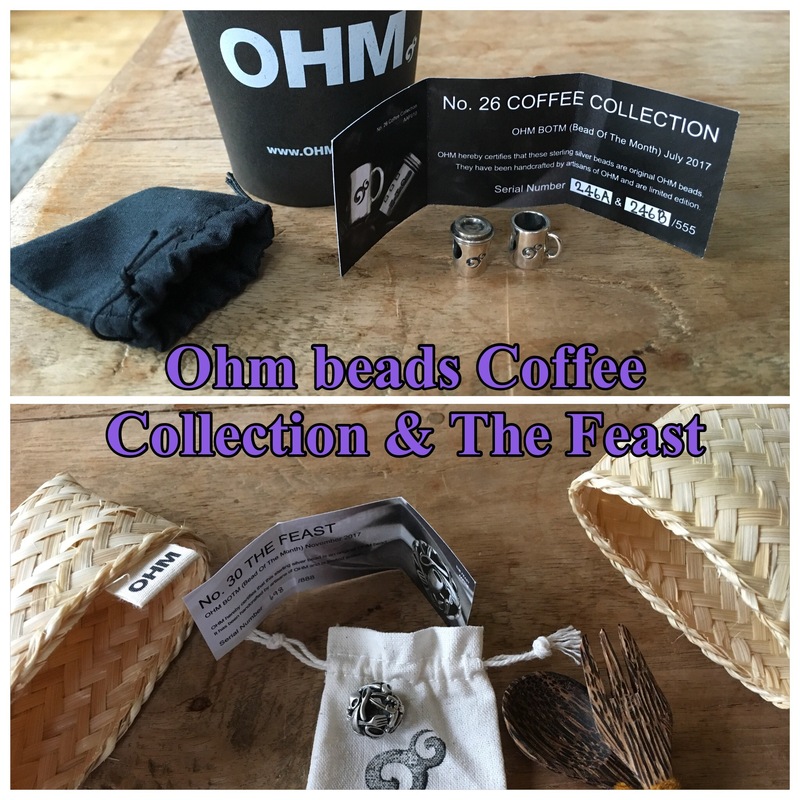 The Feast combined with the coffee cups and the Latte glass and added the Pizza bead (special edition 2017). 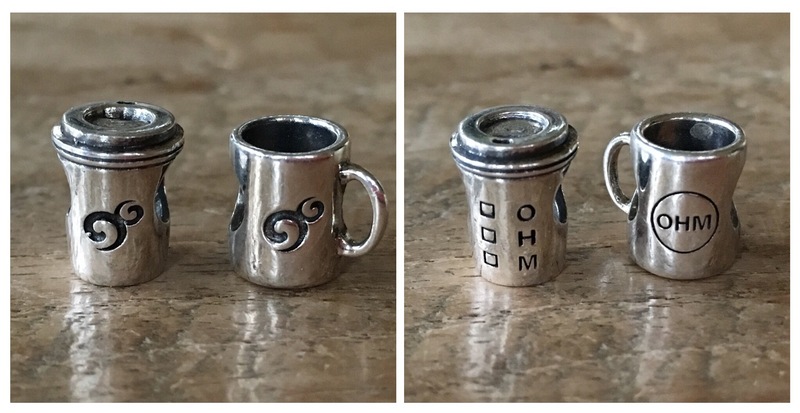 It would be awesome if Ohm would make a Pancake bead to go with the Pizza! Eat, drink and be merry!